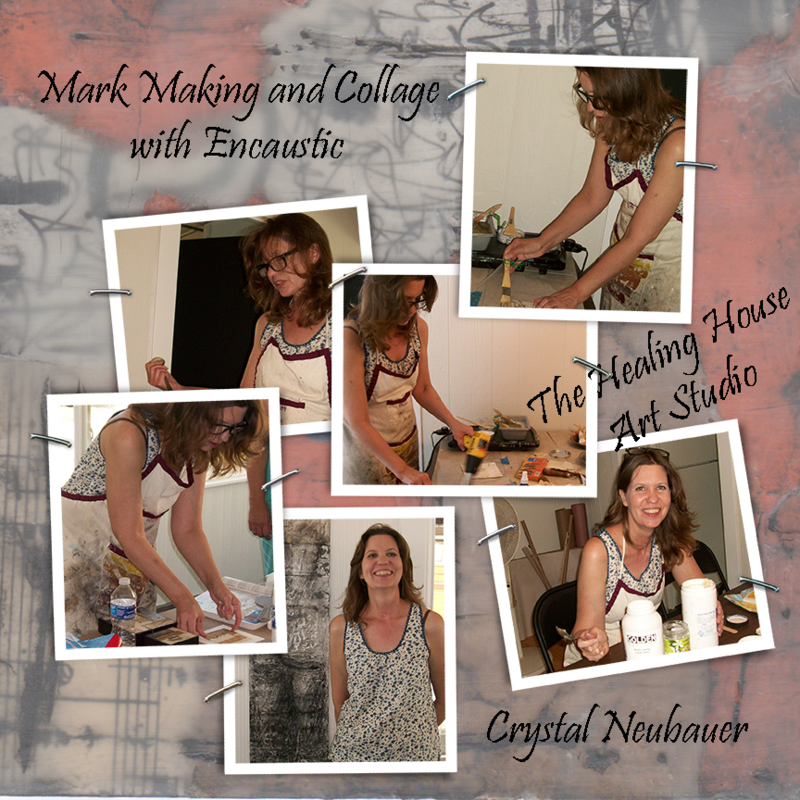 This weekend I had the opportunity to attend a workshop "Mark Making and Collage with Encaustic" by Crystal Neubauer. 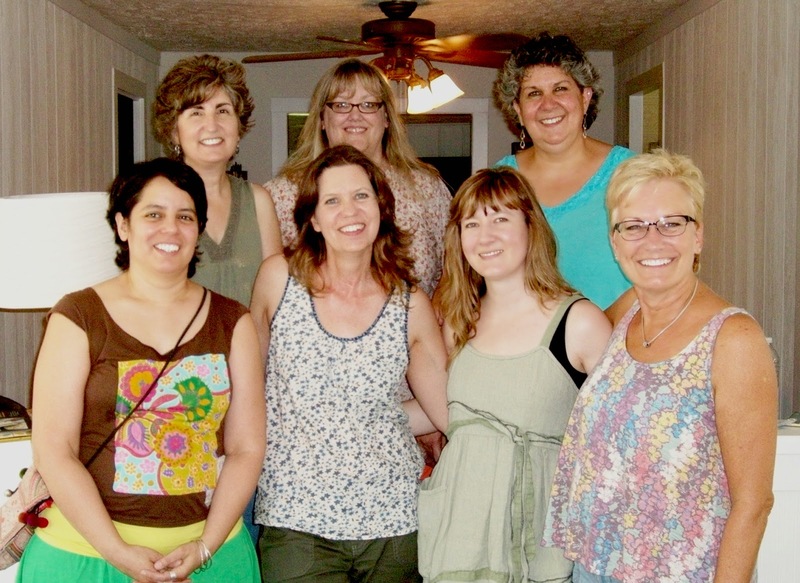 We were honored to be the 2nd workshop at her new The Healing House Art Studio. What an exciting opportunity she has. (I'm kinda green with envy!!!) Our class only had a total of 7 people which added to the pleasure of the class. Crystal was able to give us as much attention as needed. Which I was glad about since I was venturing into unknown territory. I resonated with Crystal's style of teaching right away. I have very little experience with collage and no experience with encaustic yet she made it easy to understand. For those who know me will not be surprised when I say I was just as anxious to get home so I could create some of the things I learned. Which is exactly what I did today in my studio. 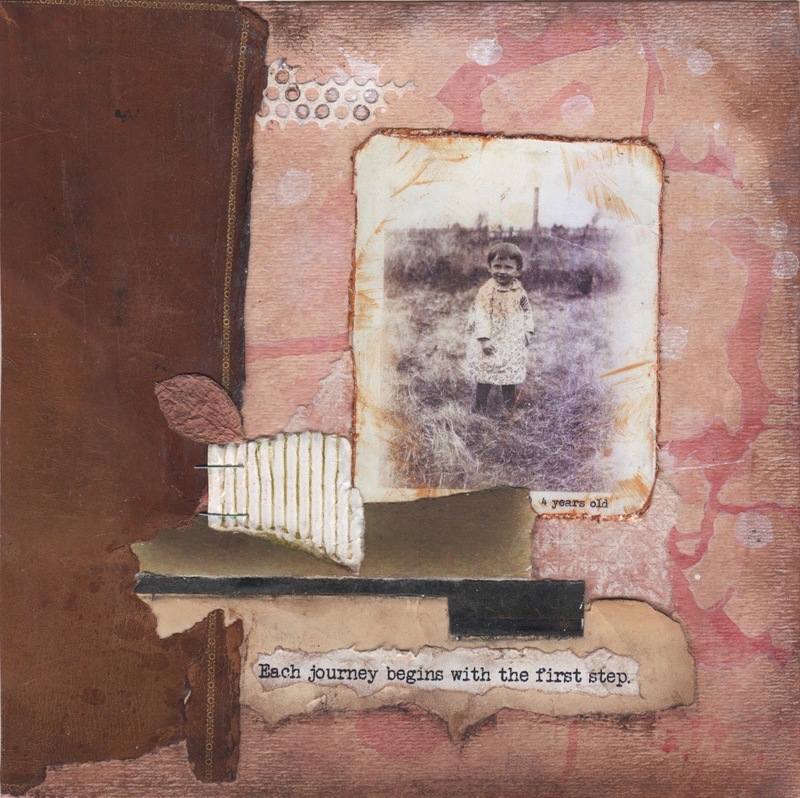 I ordered encaustic supplies and created this collage. I had so much fun! I'll show more when my encaustic supplies arrive. When you get a chance check out Crystal's blog http://otherpeoplesflowers.blogspot.com/index.html to learn more about her. Awesome! Now I'm jealous! LOL!